Bellaire Police are still looking for the suspect in this surveillance photo who took money from the Exxon Mobil store at 6512 S. Rice and Bissonnet near HEB on May 30, 2018. According to Detective Salinas’s information released to the public, the black male came into the store and went to the restroom. At the same time, a customer pumping gas asked for help at the gas pump. The suspect appeared to hide until the clerk left the store and headed toward cash register area. The suspect then took money from the register area and left the store. 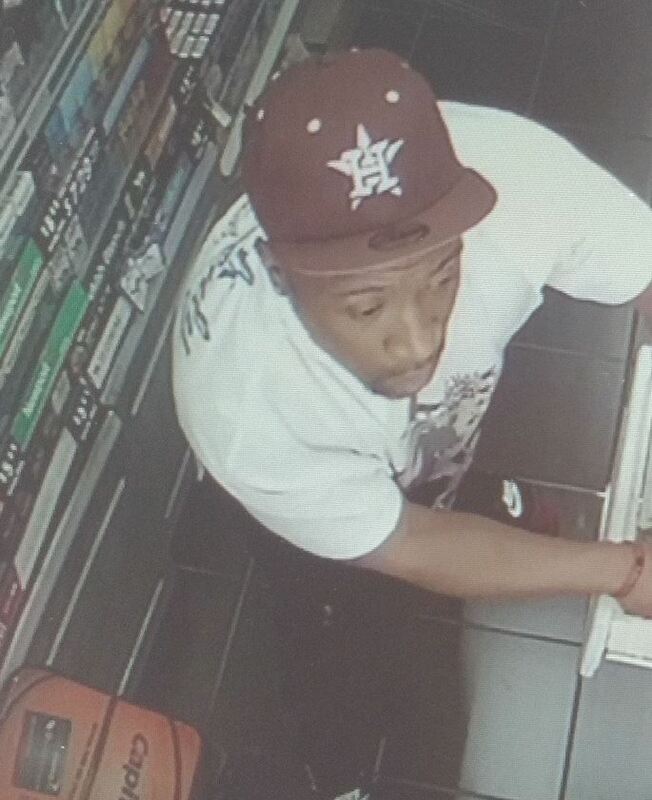 The above photo shows the suspect wearing a Houston sports ball cap and crouching behind the register. If you recognize the theft suspect, please call the Bellaire Police Department at 713.668.0487 or Crime Stoppers at 713.222.TIPS. This entry was posted in Asian Community Houston, Harris County News, Houston News and tagged Bellaire Exxon Theft, Bellaire Police Crime News. Bookmark the permalink.